In May 2001, the Georgia Department of Human Resources contracted with the GHPC to produce the qualitative and quantitative report, Kids and Dental Providers in Georgia: The Gap between Supply and Demand (1,2). 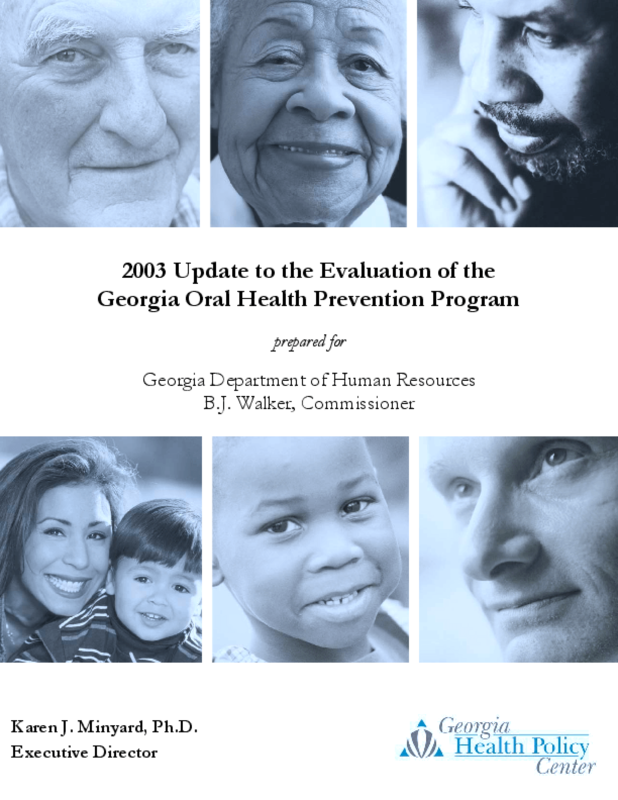 The August 2002 Evaluation of the Georgia Oral Health Prevention Program provided further documentation of oral health prevention activities in each of the dental public health districts and an assessment of local level oral health program needs. The quantitative portion of the evaluation report was subsequently updated with calendar year 2001 and 2002 Medicaid data analysis.